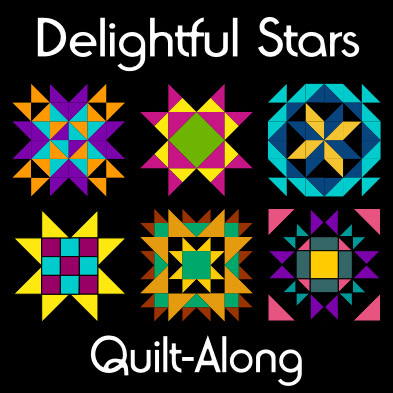 Our Delightful Stars Quilt-Along (DS QAL) starts tomorrow! Are you excited? I know I am and it’s unlikely I’ll get much sleep tonight. My fabrics have been washed and are waiting for me to start cutting into them this week. Last night, I added the proposed schedule for the DS QAL. As it stands now, with some break weeks around various holidays, the QAL will run until the end of September. The first two weeks of our QAL are preliminary lessons covering Accuracy Tips and Triangles, Flying Geese & the Specialty Rulers I recommended (more on these below). These two lessons will be available on this site for everyone to read. Our first block that we’ll make will be available Week 3, January 21st to those that have purchased the QAL. So, if you haven’t already done so, purchase the QAL today! You have lots of time to get your fabric ready before our first block lesson. There have been lots of questions in our Facebook Group about the rulers I recommend on the DS QAL info page. First, and most importantly, the rulers are not required to complete this quilt. They are recommended and nice to have if you have them already or wish to add them to your tool box. Next week, I will be sharing how to use the rulers (if you have them) and also how to make triangle and flying geese units if you don’t have the rulers. For each star block tutorial, I will be giving you the cutting instructions for both, if you have or don’t have the rulers. You can decide which option you wish to do. The first ruler I recommend is the Easy Star & Geese Ruler (available online at Amazon). This is the one I have and that I’ll be using the most. With it, one can cut out triangle units with a finished size of 2″ to 6″ or flying geese ranging from 2″ x 4″ to 6″ x 12″. I’ll also be using it for square-in-a-square type units. 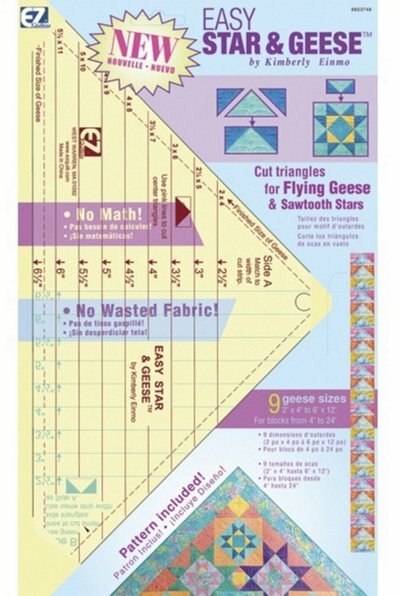 If you don’t already have the Easy Star & Geese Ruler, the Easy Angle and Companion Angle rulers work the same way and can be used instead. These two rulers work together, so you need to have/purchase the set of two. 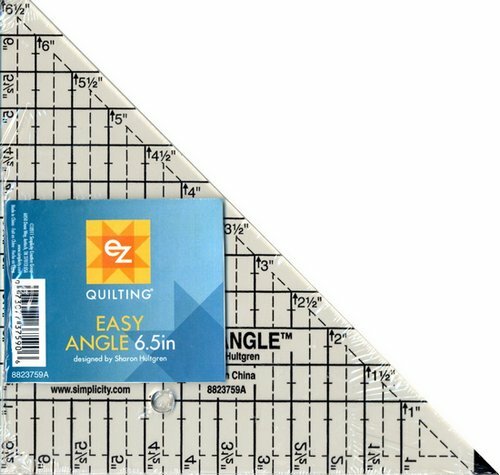 The 6.5″ Easy Angle ruler will be the most useful for this particular quilt (not the 4.5″ or 10.5″ ones). Note that: you don’t NEED both! Either the Easy Star & Geese OR the Easy Angle/Companion set will work just fine. Other companies make similar rulers to the above, but I don’t have any personal experience with them. Do your research, you might already have a set in your quilting tool box. The main reason I really like these rulers is that you cut your triangle/geese units from strips of fabric that are the same height and the cut fabric has notches that you line up. Super quick and EASY! You’ll see what I mean in greater detail in next week’s lesson. 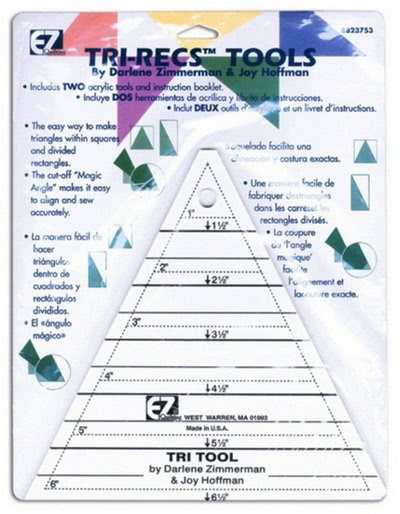 Another useful ruler set to have for this quilt is the Tri Recs Tool. This ruler makes the long skinny triangles, often called a Canadian flying geese unit. Again, if you don’t have this ruler set, you don’t have to run out to purchase it. I’ll be giving you other options for creating the blocks that use it. 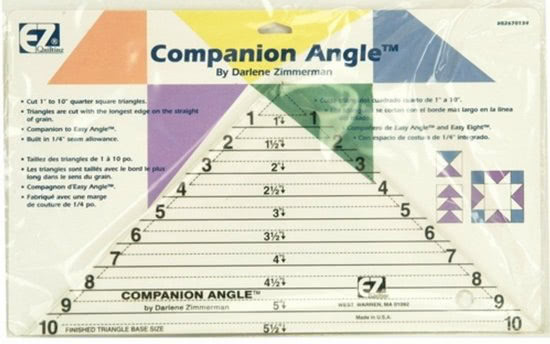 Specifically for paper piecing, I recommend the Add a Quarter Ruler ruler. Three sizes are available, 6″, 12″ or 18″ length. Get the 12″ length if you can find it. There is an Add an Eighth version available that I use for paper piecing miniatures that have lots of narrow seams. You won’t need the Add an Eighth for this quilt. 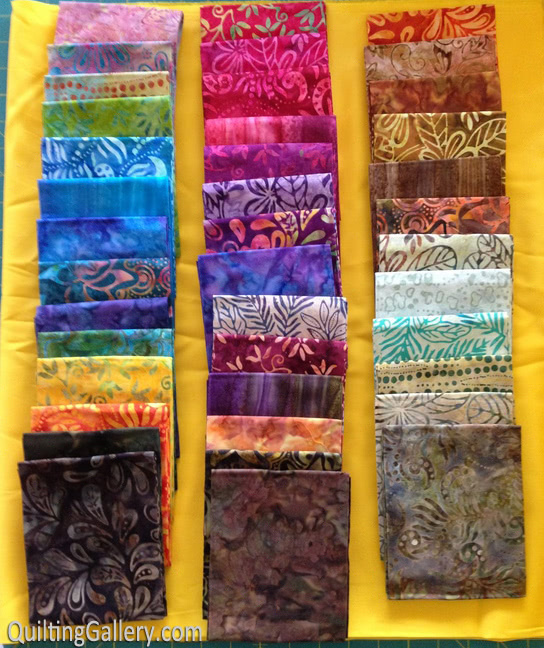 Would it be possible to use a jelly roll for this quilt. Do I need to purchase the specialty rulers? I live in Australia and I’m not sure if I can buy them here. Thanks for your help.